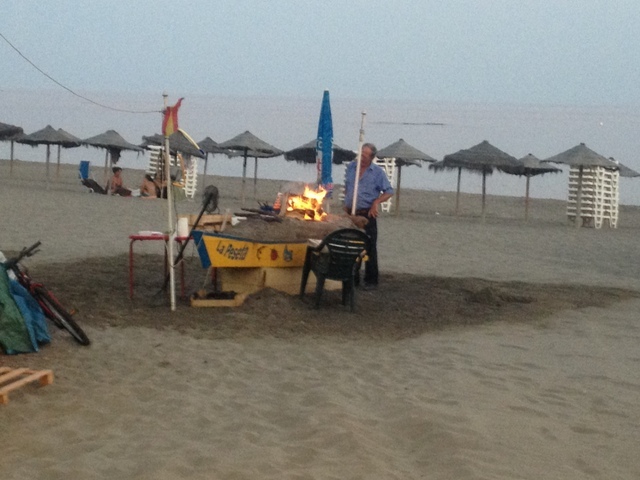 Estepona, on the Costa del Sol, was our home and launching pad for the month of September. Our apartment is a very short walk to two beaches, has harbor and sea views, and everything we could possibly need, including a fully-stocked kitchen and great modern bath. And the real kicker is an indoor garage—quite a luxury for this part of the world and a great convenience for all of our side trips. This marvelous location made it easy to visit Marbella, Torreguardia, Benalmadena, Malaga, Córdoba, Sevilla, Jeréz, Ronda, Nerja, and Antequerra, with plenty of beach and relaxation time in between. We will definitely be back—maybe to stay someday! 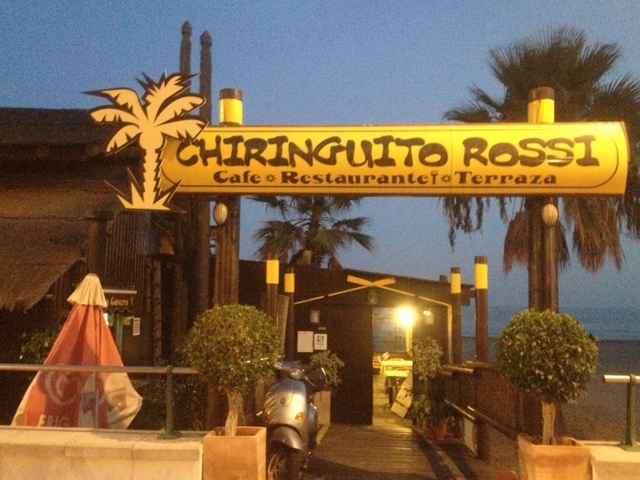 1 -The chiringuitos (beach bar/café’s) – Great inexpensive food, casual toes-in-the sand atmosphere, and fun! 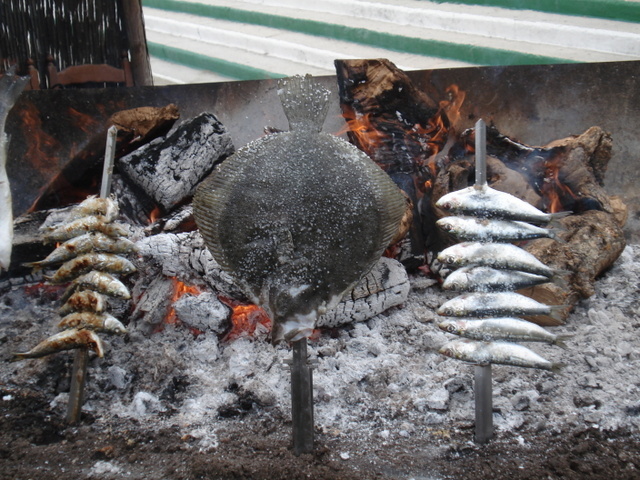 Most have grills that they’ve made from old fishing boats, where they grill freshly-caught fish over an open fire. Yum. 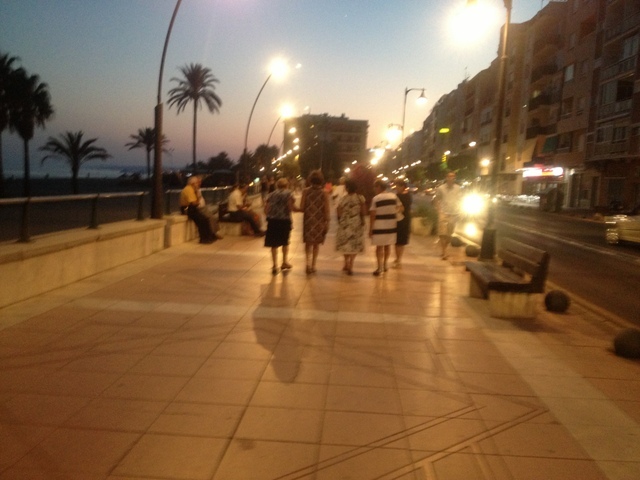 2 – The Paseo – Every evening, people of all ages and nationalities take their evening constitutional. I especially enjoy the older ladies, often in groups, hair done, earrings on, dressed up and strolling along the beach promenade, which stays fully-lighted until the wee hours. 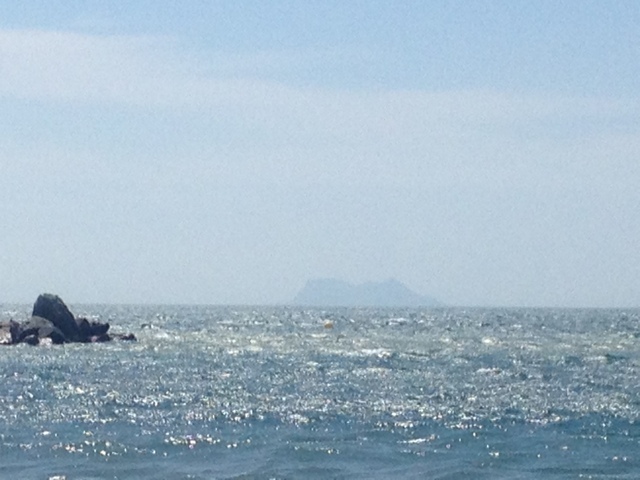 3 – Playa del Christo – steps from our place, with clear, still water and views of Gibraltar. Swimming here (Ray) or walking the beach (Anita) for the morning cardio workout sure beats the treadmill. 4 – Three sizes of beer – Caña, Jarra, or Pinta. Ray used to call me the “queen of the half beer” because I rarely finished a whole one. Until now. He gets a pinta, I get a caña, everyone’s happy. 5 –The hours – Most places serve breakfast and say “Buenos dias” until 2 p.m. Afternoon really isn’t until after siesta. And the sun doesn’t set until 9-ish. 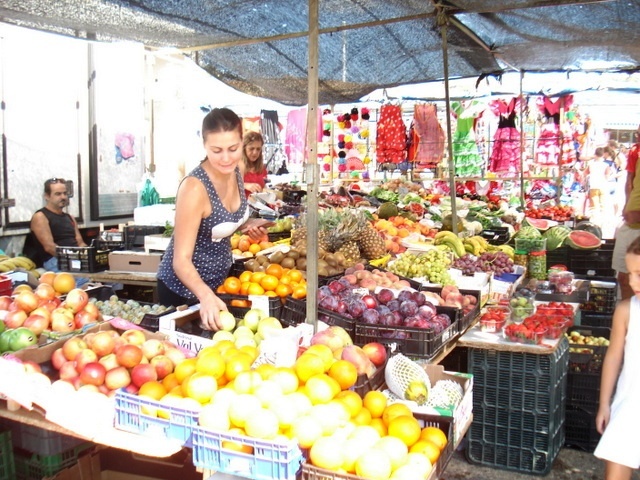 6 –The Wednesday farmer’s market – Fantástico! 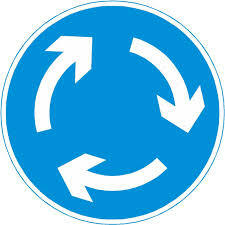 7 – Roundabouts – People complain about all the roundabouts—but when you don’t really know where you’re driving, it’s great to have a second chance at the right turn. Or when you’ve gone the wrong way, it’s so much easier to go back a step. Plus, they cut down on four-way stops and traffic lights. 8 – The old town. 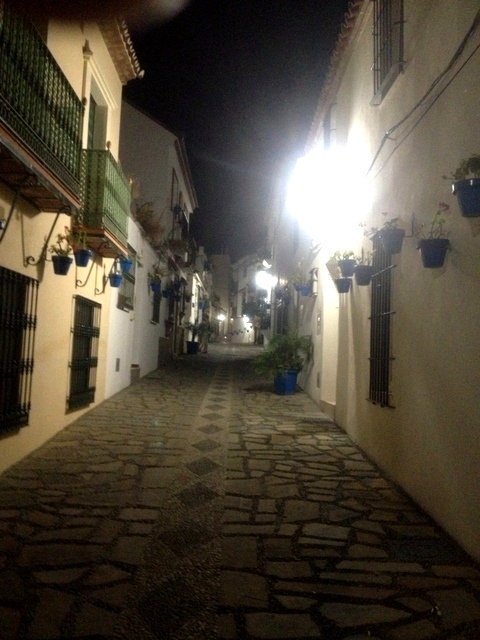 Pretty, lively– a real Spanish town, not touristy. Full of murals, sculptures, and fountains. 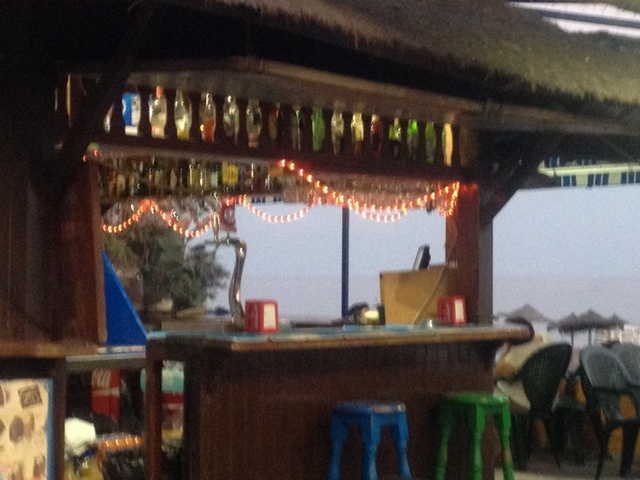 Lots of nice bars and cafés with TV’s outside facing the patios and sidewalks for watching fútbol matches. Great for a tapas crawl. 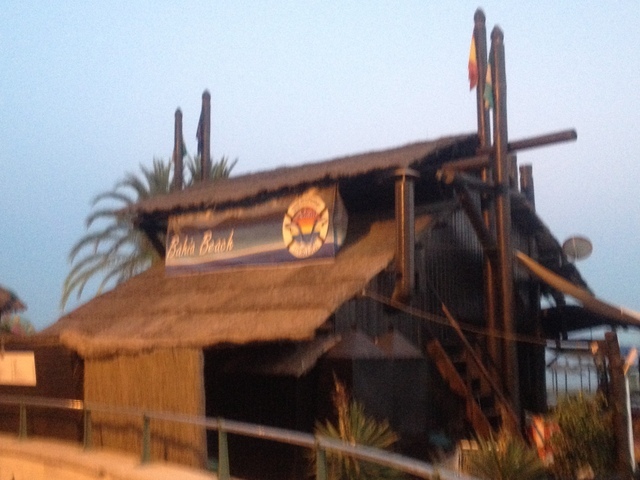 10 –de la Mar Café, bar and restaurant, just around the bend from our apartment in the Puerto Deportivo. Every morning we’ve been taking advantage of their free Wi-Fi, drinking their delicious coffee, occasionally enjoying a nice hardy English style breakfast, and visiting with the friendly people there—both staff and regular guests. Owner Mar remembered our names and our orders after just one day-and she does that for everyone, in several languages. Kat is our regular server most days—she is sweet and funny and we’re going to miss seeing her smiling face every day! PS: they also do drinks, tapas, dinner, etc. A great home base for many of us. 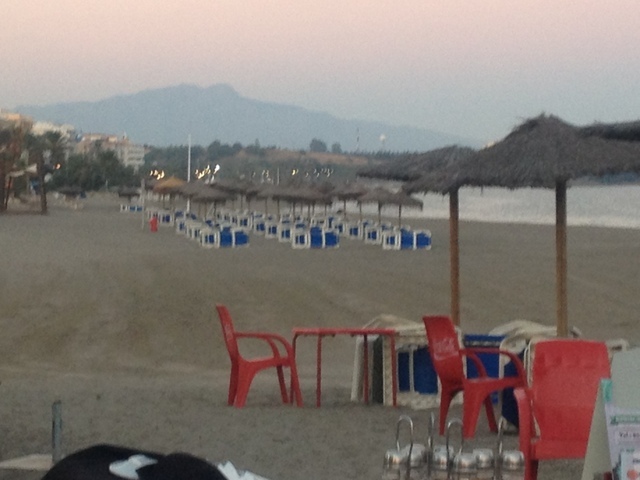 This entry was posted in Uncategorized and tagged beaches, Estepona, Paseo, playa del Christo, Spain, ten things, travel, View of Gibraltar on September 29, 2013 by ayoelkers. Hope you’re enjoying the sardines,salads and big reds.